Yangon is Myanmar’s largest city and is perhaps by far the most exciting place in the country to be right now, as former political exiles, Asian investors and foreign adventurers fly in. As the country’s commercial and artistic hub, Yangon most certainly reflects the endless changes that have occurred since the nation reopened its doors to the world. There’s a huge rush of new restaurants, bars shops, building sites and traffic jams everywhere. But in many ways, Yangon, formerly known as Rangoon, has hardly changed at all. The city remains focused on Shwedagon Paya, an awe-inspiring golden Buddhist monument around which everything else revolves. Close to it is the alluring parks and lakes that offer Yangonites and tourists an escape from the surrounding city chaos. Then there’s downtown, its pavements one vast open-air market, which is home to some of the most impressive colonial architecture in all of Southeast Asia. The Karaweik Hall, also known as Karaweik Palace, is one of Yangon’s many famous landmarks. From a distance, the Karaweik Hall’s architecture ressembles that of a huge golden barge floating on Kandawgyi Lake while glittering under the sun. But once the sun starts to go down, the Karaweik Palace is lit up by spotlights as the golden stupa is reflected in the water of Lake Kandawgyi. The hall actually is a concrete structure that looks like two enormous golden birds with a roof in the shape of a Pyatthat, a Burmese style multi-tiered very ornate roof structure. The prow of the ship is built in the shape of a Karaweik, a bird from Burmese mythology. A golden ball hangs from its beak. Behind the structure is the tail of the Karaweik bird highlighted in red and gold colors. On top of the tail is a depiction of a Nat spirit. It is almost impossible to visit Yangon without going to its top attraction – the Shwedagon Paya. Officially named Shwedagon Zedi Daw, the Shwedagon Paya is one of Buddhism’s most sacred sites. Towering at 325 ft, its zedi is adorned with a mind-blowing 27 metric tons of gold leaf, along with thousands of diamonds and other precious gems. It is believed to enshrine strands of Gautama Buddha’s hair. Four entrance stairways lead to the main terrace. Visit this magical place at dawn if you want tranquillity or go when the golden stupa flames burn orange in the setting sun. The life that revolves around this grand site comes from all around the world. Pilgrims coming from the far reaches of the globe and throughout Myanmar add to the vibrancy of this magical place with their traditional clothes and offerings. As you tour the site, you’ll witness serene moments of prayers and meditation and the ‘bathing of the Buddha’ by day of the week. Labels bearing the days of the week surround the stupa and dictate the exact placement of offerings. The Monday corner area is reserved for those who were born on a Monday, Tuesday corner for Tuesday, and so on. Washing the Buddha at the corner of your birthday is considered lucky and is believed to bring good karma. Punctuate your visit to Yangon by staying at the Lotte Hotel Yangon. Rising high above the Yangon skyline, Lotte Hotel Yangon is a paragon of modern architecture and sets a new standard for 5-star accommodations in Myanmar. 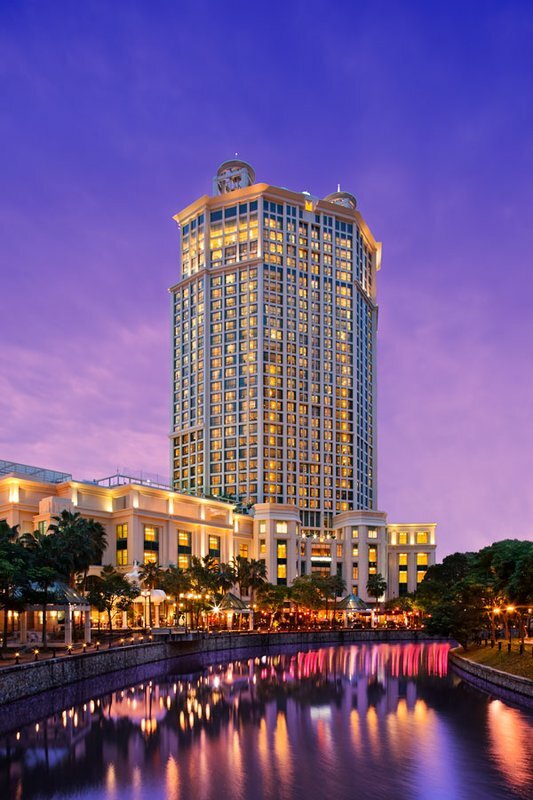 With the Shwedagon Pagoda rising to the south, and the deep blue waters of Inya Lake unfurling to the east, Lotte Hotel Yangon stands aloft from the surrounding urban cityscape. Lotte Hotel Yangon boasts an array of world-class facilities catering to every need, whether you are in Yangon for business or leisure. Their premier suites offer sweeping views of Inya Lake; their numerous food establishments provide choices for fine-dining or casual gatherings, and a banquet hall suited for hosting international events and seminars. The hotel’s various outdoor amenities such as cabanas, the Infinity Pool, and pool bars combine to provide families and couples with a special travel experience. Lotte Hotel Yangon remains a testament to its attention to detail, its air of spaciousness and refinement, and its state-of-the-art interior design. In-line with the fine quality that Lotte Hotel Yangon is renowned for, all their hotel staff is carefully chosen and trained to provide the very best hospitality for every guest that walks through its doors. What better way to experience the graciousness of Myanmar’s warm hospitality than to book a memorable stay at Summit Parkview Yangon situated near the heart of the city and only a 5-minute walk to the iconic 2,600 years old Shwedagon Pagoda. It’s located in the up market vicinity of embassies, shopping centers, food outlets, the national museum and the People’s Park and is only 2.5km away to the famous Bogyoke Market that’s a favorite of tourists. Summit Parkview Yangon is just a 10-minute drive from downtown and 14.7km to and from Yangon International Airport. Summit Parkview Yangon offers a blend of classic & contemporary designed rooms with complimentary Wi-Fi, perfect for any type of traveler. Rooms are fitted with a flat-screen cable TV, Air Conditioning, hairdryer and coffee/tea making facilities as well as shower or bathtub facilities which are included in all rooms. This spacious property features an all-day international cuisine dining café, business centre, a bar with live entertainment, a fitness centre, transportation and laundry services with complimentary parking on site. With its quaint Myanmar architecture frontage, set within a manicured garden that faces the lush, green People’s Park, Summit Parkview Yangon brings a very unique cultural vibe. A 24 hour English speaking front desk associate ensures that every guest is well-catered to all the time. Look forward to a wonderful stay at the heart of Myanmar when you stay at Summit Parkview Yangon. Bagan in central Myanmar is considered to be one of the world’s greatest archeological sites. 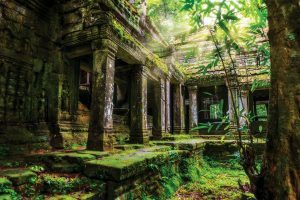 It’s historical significance even rivals that of Machu Picchu or Angkor Wat, but there’s one big difference – the absence of throngs visitors, at least for the time being. The setting is very much sublime with a verdant 26 square-mile plain, partly covered in strands of palm and tamarind caught in a bend of the lazy-flowing Irrawaddy (Ayeyarwady) river and framed by the hazy silver-grey of the distant mountains. Most of Bagan’s ancient temples are superbly preserved or have been restored by Unesco, among others, and many still contain frescoes and carvings and numerous statues of Buddha, both big and small. Only a handful are regularly visited, and though tourist numbers are increasing and the hawkers are beginning to appear, this is still, by the standards of sites of a similar beauty and stature, a gloriously unsullied ancient destination. If you’ve had your fill of ancient stupas on a dusty plain, then how about a volcano-top monastery surrounded by a vast forest instead? We reckon a half-day side trip to amazing Mount Popa is a good enough reason to stay another day in Bagan. Mount Popa refers to the ancient volcanic plug situated on the lower slopes of the extinct volcano, atop of which a monastery has been precariously placed. The wide, forest-clad mountain that overshadows the outcrop and that can be seen from as far as 50 kilometres away is actually Mount Popa; the iconic plug and pagoda is officially named Taung Kalat. The volcano is thought to have erupted some 250,000 years ago. It rises 1,500 metres above the surrounding plain and accordingly has its own microclimate, with lush forests on its slopes – now Mount Popa National Park – and fruit orchards around the base in the fertile volcanic soil. There’s also a large, deep caldera at the mountain’s summit and the area is famous for its great hiking and birdwatching potential though at present accommodation options are limited to a bunch of basic pilgrims’ guesthouses at the foot of Taung Kalat, or the upmarket Popa Mountain Resort. The ever popular hot air balloon trip over Bagan’s Buddhist temples is perhaps one of the most memorable activities that you can embark on while visiting Bagan. But this aerial adventure certainly doesn’t come cheap, yet it hasn’t stopped tourists from hopping into its big basket-like compartment just to get an unrivaled bird’s eye view of the magnificent landscape of Bagan. Just make sure to book your spot way in advance, especially during peak periods. Part of the magic of ballooning over Bagan is the sheer number of balloons that are simultaneouly around you as you hover over the historical sites of Bagan. Expect the flight to be an incredible experience with phenomenal views over the plains of ancient temples, as you witness other balloons drifting across the horizon. After passing several temples, let the wind take you to the more exotic parts of the countryside as you see villages below while the locals would race outside and wave in fascination at the awesome site of these gigantic balloons hovering over them. If you’re lucky, you may even get close enough to see their cattle, herds of goats and the fields of peanuts, chickpeas and rice paddies.